The influence of any media outlet cannot be defined by a singular metric. The Australian entertainment sector have at their fingertips a diverse array of trade publications which drive debate, discussion, analysis and key movements across multiple sectors. What constitutes the unique influence of each publication is a fine balance of factors based on reputation, quality and the clout of its leaders, as well as measurable data on social and web traffic to offer an indication of popularity. 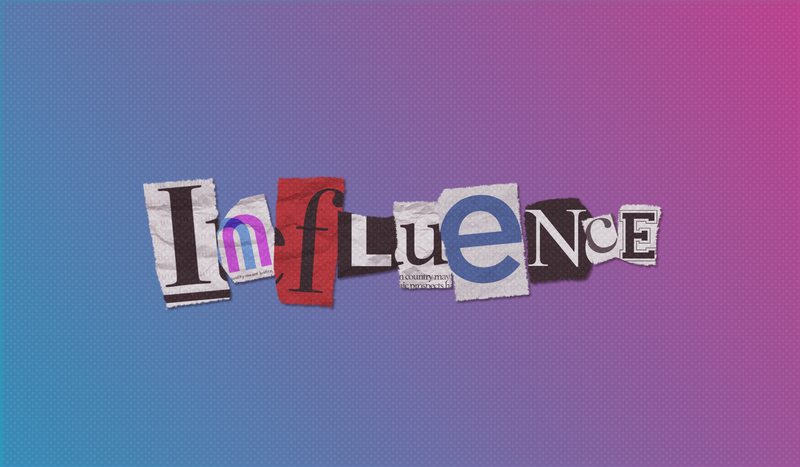 The Music Network has taken the opportunity over the past three weeks to dive deep into the nuance of ‘influence’, and come up with a method of measurement by weighing up both qualitative and quantitative data, as well as reaching out to key industry figures for their unbiased input. The experience, reputation and unique voice of the journalists, editors and publishers who are the driving force of a publication, as well as its history and placement within its field, contribute to a publication’s weight of sphere of influence. We reached out to the entertainment industry’s most powerful and respected representatives and executives across a range of companies and sectors, who ranked a list of Australian entertainment trade publications in order of influence over their organisation. Similarly; raw, publically available data on website and social media traffic through digital market intelligence platform SimilarWeb was used to quantify influence through reach, impressions and site visits. TMN also looked at the percentage of Australian traffic over rest-of-world. Other benchmarks, like time spent on page and bounce rate, were also factored. The recently released Audited Media Association of Australia statistics for September were also used; AMAA figures are based on Australian traffic only, excluding international traffic, search crawlers and bots. The combined social reach of platforms including Facebook, Twitter, Instagram and LinkedIn was also factored. Influence isn’t just about numbers though. The impact that each of the mastheads are able to make on important issues impacting the industry is also key. And their ability to inform, entertain and move an important and timely conversation forward. The data was thoroughly assessed by the TMN team to unanimously decided on the most accurate ranking based on these metrics. Mumbrella was launched in 2008 by former B&T editor Tim Burrowes. Headed by editor Vivienne Kelly, the leading Australian trade site covers everything in media and marketing, publishing news, opinion and features on topics including television, radio, events and jobs. Mumbrella expanded into Asia in 2013 and also hosts yearly Mumbrella Awards, the Entertainment Marketing Summit and its Mumbrella360 industry conference. According to SimilarWeb, Mumbrella boasted an impressive 601,900 site visits, with 75.31% from Australian-based users. Comparing to AMAA’s stats, this breaks down to 13,782 average (Australian) daily unique browsers throughout September. Mumbrella‘s combined social media reach across Facebook, Twitter and LinkedIn is 80,108 followers. Mediaweek, founded in 1990, brands itself as “Australia’s Media Industry Bible”. Although its weekly hard copy magazine ceased at the end of 2017, the James Manning-run trade publication continues to cover news regarding the Australian newspaper, television, radio, magazine and outdoor advertising industries. Mediaweek’s website had 122,100 August site visits, 65.07% of which were Australian, according to SimilarWeb; they did not participate in AMAA’s audit. Mediaweek‘s combined social media reach across Facebook, Twitter and LinkedIn is 35,462 followers. Sydney-based marketing, media and advertising publication B&T is run by longtime publisher David Hovenden. Founded 65 years ago as Broadcast & Television magazine, B&T still releases six print issues a year. The publication also curates several events each year including 30 Under 30, Women In Media and the B&T Awards. On SimilarWeb, B&T had 276,300 visits in August, 64.02% of which were Australian. AMAA shows B&T had an impressive 5,614 Australian UBs in September, while their combined social media reach across Facebook, Twitter and LinkedIn is 78,390 followers. Founded in 2011, Radio Today is the radio industry’s only 100% free, in-depth site for breaking news, survey analysis, feature stories, airplay charts and opinion pieces. Purchased in 2017 by entertainment digital marketing agency Jaden Social under the leadership of CEO and publisher Jake Challenor, also the publisher of The Music Network, the site’s day to day is looked after by assistant editor Zanda Wilson. Radio Today’s highly engaged audience recorded 94,600 site visits in August, of which 71.06% were Australian, according to SimilarWeb; AMAA shows Radio Today had an average of 1,782 Australian UBs in September. Its combined social media reach across Facebook, Twitter and LinkedIn is 15,978 followers. Specialising in advertising, marketing, technology and media, AdNews has been around for over 90 years. Under editor Pippa Chambers and publisher James Yaffa, AdNews spans investigative features, profiles and analysis break down the big issues, people and companies as well as debunking data to keep readers clued-up. The publication is available in monthly print editions, online and via their daily newsletter. AdNews had 233,000 visits in August, 66.71% of which were Australian-based; combined social media reach across Facebook, Twitter and LinkedIn is 68,430 followers. TMN is Australia’s most established music trade publication; a daily go-to for industry workers from independent artists to label bigwigs. Founded in 1994, TMN was acquired by Jaden Social under the leadership of CEO and publisher Jake Challenor in July 2017. With the paywall removed earlier this year, the new-look TMN is on the forefront of music news locally and abroad with a daily newsletter, covering key figures, issues and events around the country, as well as continuing its history as an independent curator of airplay charts. SimilarWeb shows TMN clocked up 61,000 visits in August, 61.58% of which were Australian-based. Comparatively, AMAA shows TMN reached 836 daily Australian UBs, while their combined social media reach across Facebook, Twitter and LinkedIn is 59,863 followers. The personal blog of commentator and journalist David Knox, TV Tonight has been the go-to for the television industry since it launched in 2007. The site is updated daily and includes ratings, programming, reviews, Pay TV and TV news as well as feature interviews with key television personalities, from executives to programmers. It also has dedicated pages for channels – further broken down into key programs – for navigation ease. TV Tonight had huge 949,500 visits in August, 71.14% of which were Australian-based. TV Tonight did not participate in AMAA’s audit. While TV Tonight doesn’t have a Facebook or LinkedIn page, they have 17.2K followers on Twitter. The Industry Observer is Australia’s newest music trade publication, founded in January 2017 by Australian publisher Luke Girgis’ Seventh Street Media, alongside their suite of music consumer publications which include The Brag, Tone Deaf and Don’tBoreUs and J Play. With former TMN editor Poppy Reid at the editorial helm, TIO report on local and international music and pop culture stories relevant to the broader industry, musicians and consumers. TIO had 107,700 visits in August, 59.89% of which were Australian-based; they did not participate in AMAA’s audit. TIO‘s combined social media reach across Facebook, Instagram, Twitter and LinkedIn is 7,370 followers. Radioinfo is run by Australian radio trainer, historian and broadcast media consultant Steve Ahern (OA) and managing editor Peter Saxon. The radio industry site first launched in 1998 as AMT, before changing its name to Radioinfo in 2002. It features the latest Australian and international radio news, features and jobs. According to SimilarWeb, Radioinfo was visited by 88,200 users in August, of which 64.22% were Aussie visits; they did not participate in AMAA’s audit. Radioinfo‘s combined social media reach across Facebook and Twitter is 12,520 followers. Established in 1987, Campaign Brief is the trade magazine for Australian and New Zealand advertising creatives. Since 2005, they have expanded to include trade advertising press blogs in New Zealand, Asia and Western Australia, as well as in the US as of March 2013 under the leadership of publisher and editor Michael Lynch. According to SimilarWeb, Campaign Brief had 232,300 visits in August, 56.43% of which were Australian-based, while AMAA’s data puts them at 3,375 daily Australian UBs in September. Their combined social media reach across Facebook, Twitter and LinkedIn is 45,514 followers.